Tenjin Daira(天神平) is located on the Mt. Tanigawa. It is about 1,500m high from the sea level. From the top of Tenjin Daira, you can see great view of Gunma prefecture. In Autumn, there is beautiful Koyo, and in the winter it becomes sky spot. Many people visit here for mountain hike, and there is also ropeway to reach the top of Tenjin Daira. Admission for ropeway: 2000 yen for round trip. Admission for lift to the top: 700 yen for round trip. There is parking and food stand. Mt. 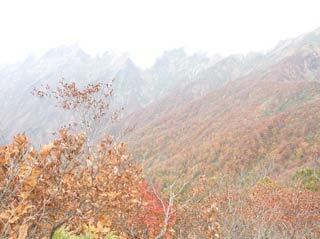 Tanikawa is one of the 100 best mountains in Japan. It is 1977m high, and the most dangerous mountain in the world. Because it has great rock walls over the mountain, many people try to free climbing. From the top of mountain, you can see Sea of Japan, and Mt. Fuji as well. There are many mountain flowers you. This mountain is also very popular for sky resort.